The government has decided to once again rely on itself regarding the implementation of the economic reform programme, while the space left for private sector contribution has significantly shrunk. 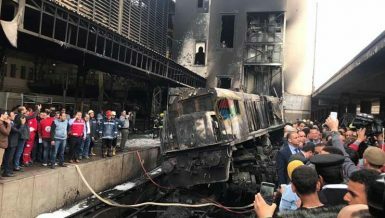 After private sector investments used to make up a remarkable percentage of total annual investments in Egypt, they have declined during the current fiscal year (FY) to only 51%, as opposed to 49% of government investments, which include contributions from its companies and authorities. According to the economic and social plan issued by the Ministry of Planning, the government is aiming to achieve about EGP 278.6bn of public investments during the current FY, compared to EGP 180bn in the previous FY. On the other hand, the amount of targeted private investments reaches EGP 291.4bn, compared to EGP 236.5bn. Private investments have retreated gradually over the past years. After they were about 75% of total investments years ago, they dropped to 57% in the last FY, and 61% in the FY before last. 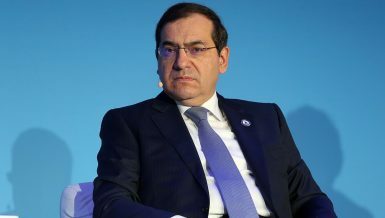 Former assistant to the executive director of the International Monetary Fund (IMF), Fakhry El-Fiky, said that private sector investments have not reached the needed amount in the Egyptian economy. He noted that the decline in private sector investments indicates the problems facing the sector in the local market, which is mainly the halt of factory productions due to the lack of US dollar liquidity. EGP 83.2bn worth of public sector investments were pumped into the business sector, EGP 48.7bn into economic authorities, and EGP 107bn into government investments, including EGP 64bn financed by the treasury. Real estate activities have taken the biggest share of public investments during the current FY at EGP 86.7bn, while education and health services came in second place with EGP 72.5bn, followed by extractions at EGP 64bn, electricity at EGP 63.4bn , and manufacturing industries at EGP 55.2bn. Private sector investments mainly focused on the extractions sector during the current FY at a value of EGP 55.6bn, followed by real estate at EGP 53bn, the manufacturing industries at EGP 47bn, and agriculture, irrigation, and fishing at EGP 26.5bn. The government has expected the private sector to invest about EGP 40m in the electricity sector, which is considered the lowest share of total private sector investments during the current FY. 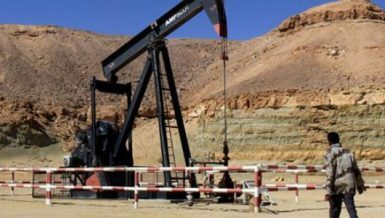 El-Fiky added that directing the highest percentage of the private sector investments into the oil extractions sector is attributed to the increase in investments from foreign and local companies after the discovery of the largest gas field in Egypt, in addition to other areas. 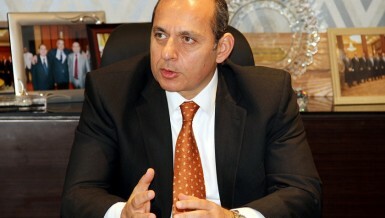 The construction sector came first in terms of the amount of investments it received during the current FY, whether by the government or the private sector, getting 26% of total investments with a value of EGP 140bn, followed by the extractions sector (oil sector) at 24.5% and approximately EGP 128bn. El-Fiki attributed the high inflow of investments in the real estate sector to national projects launched by the government during the current FY, including the housing project for low-income citizens. 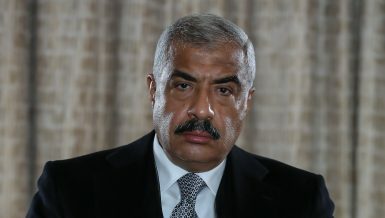 El-Fiki said that the government’s move to increase investments aims at achieving the targeted growth rates during the current FY, even if the sectors receiving these investments hold no importance at the moment. He believes that the total size of investments is significantly low compared to the nature of the Egyptian market and its large size. The focus of the public and private sectors in the past years, according to the available data, was not on the real estate sector, but rather on the extraction and manufacturing industries. However, the investment plan of the current FY looks to direct more investments to the construction sector. Statistics issued by the Central Bank of Egypt (CBE) show that the government and its affiliated bodies have obtained most of the increase in granted bank loans since the beginning of 2016. The government obtained 53.2% of the total increase in bank loans during the first five months of this year, while the share of the non-governmental sector, excluding individuals, amounted to 37.6%. The CBE stated in its latest monthly report that government loans amounted to EGP 71.3bn during the first five months of 2016, making the portfolio reach EGP 172.047bn at the end of May, compared to EGP 100.7bn at the end of December 2015. 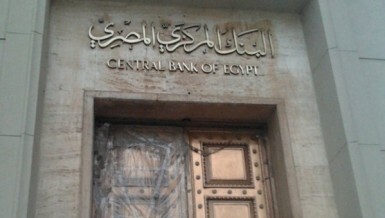 According to the CBE’s figures, the non-governmental sector loans, excluding individuals, increased by approximately EGP 50.46bn during the same period, registering EGP 535.48bn in last May, compared to EGP 485bn at the end of 2015. That figure includes all loans granted to companies, including public companies, which means that the private sector’s share in the loans is less than the figure implies. 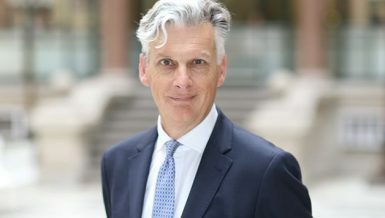 Banks’ managers of credit have attributed the growth in rates of the lending government during the last period compared to the private sector to the demand, noting that the steps taken by the state and its bodies to develop the infrastructure, as well as the increase in loans of public bodies—specifically in the electricity sector—has significantly contributed to the growth of government loans. Last May, three banks arranged the largest loan in the history of the banking sector with a value of EGP 20bn for the social housing fund affiliated to the Ministry of Housing. Public electricity companies obtained large consecutive loans to repay the debts they owe to the Egyptian General Petroleum Corporation (EGPC). The increase in the bank loan balances amounted to approximately EGP 134bn from January to May, reaching EGP 920.69bn compared to EGP 786.65bn at the end of 2015. 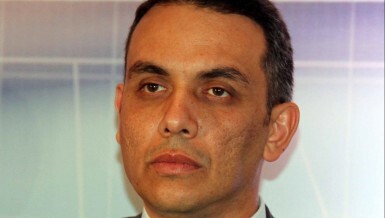 Manager of credit in a private bank, Mahmoud El-Sakka, said that the issue lies in the private sector’s demand of bank loans, stating that there is enough liquidity for everyone. 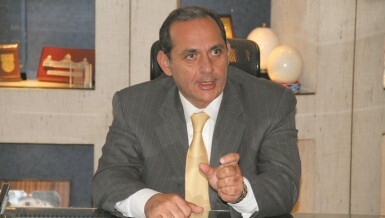 El-Sakka added that economic turmoil has negatively impacted the economy. This reflected on the companies and their dealings and expansion plans, which reduced their demand. He also mentioned that these companies rely on US dollars, and due to the foreign currency shortage, a number of companies and factories have limited their activities until the currency becomes available again. El-Sakka said that the private sector does not need the CBE to intervene and put pressure on banks to direct part of their loans to it. The rate of loans employment declined at companies by about 5.5% during the first five months of the year, making the employment ratio 70.9% of bank loans in May, compared to 76.4% at the end of 2015. The rate of the deposits employment in loans amounts to approximately 45%, while the banks subscribe to government debt securities with 43% of their deposits. At the same time, the government heavily relies on the banking sector to finance the budget deficit. The government owns the largest two banks in the country, in addition to several other small banks. The state-owned banks are controlling about 40% of the banking system assets. An official in the National Bank of Egypt, the largest Egyptian bank in terms of assets, said that the economic contraction over the last period has contributed to the slowdown of the growth of private sector loans. He expected, on the other hand, that government loans will increase in light of the national projects that are being established and the development of infrastructure. The total deposits employment of the banking sector in loans increased by about 3.2% from the beginning of the year until May, increasing the ratio to 44.7%, compared to 41.5% at the end of 2015. A credit official in Banque Misr partially attributed the growth in government loans to the activity of some public bodies and their expansions. He also stated that the decrease in private sector loans is due to the banks limiting loans in foreign currency, which the private sector needs. He added that banks are facing a crisis in providing financings in foreign currency. He also noted that the increase in government requests for loans is due to the infrastructure and development projects it is undertaking, which require local currency. The government obtained 83% of the total bank loans in May, taking EGP 50bn out of the total increase that amounts to EGP60bn. The total loan portfolio reached EGP 920.7bn, compared to EGP 860.8bn at the end of April. 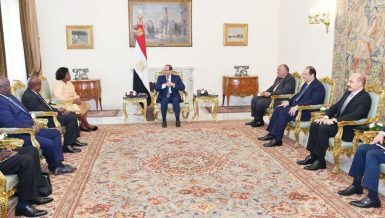 Egypt has been eyeing mega projects to achieve political and economic gains since President Abdel Fattah Al-Sisi took office two years ago. 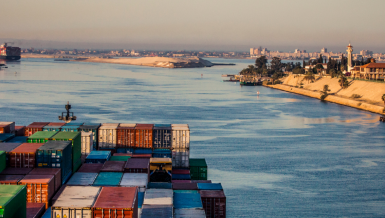 These include the expansion of the Suez Canal in one year, a plan to build half a million housing units in two years for low-income citizens, the New Administrative Capital, and the reclamation of 1.5m feddans. The usefulness of these projects has been questioned. The Purchasing Managers’ Index (PMI) of Emirates NBD bank showed that the contraction of non-oil private company activity continued during August for the eleventh consecutive month. The bank said that the pace of decline accelerated during August, as a result of the sharp decline in production, new orders, and employment. The index fell to 47 points in August, compared to 48.9 points in July—the lowest level in four months. The survey noted that companies were hesitant to engage in purchasing activities in August due to the cost of purchases that registered its highest level in the history of the index, in light of the weakness of the local currency, which led to a decline in raw material supply and liquidity. Egypt is suffering from a US dollar shortage as a result of pricing the Egyptian pound officially higher than its real value, which created a informal currency market in which the value of the pound falls below the official price by about 45%. Pigat said that “the survey data highlights the ongoing need to move to a more flexible exchange rate system in order to achieve a market-clearing rate for the EGP,” according to the bank. The survey also showed that the customer requests from the private sector declined due to high prices and the lack of liquidity. Furthermore, the companies that participated in the survey mentioned their difficulties in obtaining raw materials, which limited their ability to increase activity—a direct result of the decline of the pound’s value against the dollar. 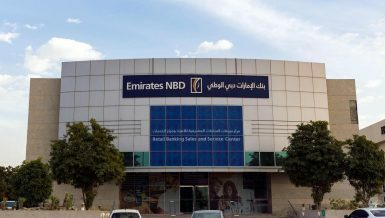 Emirates NBD said in a report on the survey results that August saw a sharp increase in the prices of products as a result of the high cost of production requirements, and that the pressures of cost far outweighed the attempts to attract new customers through discounts. The survey showed that the rate of job losses was the fastest since the index started about five and a half years ago. Private companies said that a number of employees left their jobs looking for better job opportunities. The increase in the government’s reliance on its limited resources comes in parallel to a budget deficit amounting to 11.2% of the gross domestic product (GDP) in the first 11 months of last FY. At the same time, a large number of government companies and authorities are suffering from financial crises, chronic losses, and financial and administrative excesses. Public debt rates amount to around 100% of GDP, while the cost of issuing government bonds has increased to some of the highest levels ever. Interest rate on the government’s weekly issuances are ranging between 14% for short-term treasury bills and more than 17% for five-year treasury bonds, which repeatedly pushed the government to cancel a number of its longer-term bonds.